John Suren "was my role model and the greatest human being on this earth," said 71-year-old Marvin Dent in 2010 about his former Manassas High (Virginia) baseball, football and basketball coach. "Everything he did, he did for us and not for himself. He was my hero." "I love the coach and appreciated him even more after I got out of school and realized all the things he had done for us," said Jackie Pennington, another of Suren's former players. "I think every boy and girl who he has come in contact with is better off in life." Suren "prepared us for later in life," added Bob Lloyd, "He taught us discipline and how to play together like you work together when you get out of school." On August 25, dozens of former players gathered in Elizabethtown, Pennsylvania (about 150 miles from Manassas as the crow flies) for a special ceremony to honor retired field hockey and tennis coach, Jane Hoover. "Thank you for leading me and hundreds of others in the right direction," Carol Greene told her coach that night, "It was probably one of the first building blocks of character that we picked up along the way." Hoover inspired her players for decades, added Ruth Barley, "because she was a person just like us." Other former players fondly recalled all the "Hooverisms," the coach's epigrams that motivated them from game to game. Epigrams such as "play to win but play fair," and "sometimes you have to take a step back to get ahead." That many athletes remember their high school coaches with fondness isn't all that unusual, of course, But in this case the praise was coming, not from recent graduates, but from septuagenarians. When they were interviewed last year both Dent and Pennington were 71 years old, Lloyd was 74; Greene graduated from Elizabethtown Area High School in 1964; Ruth Barley in 1951! 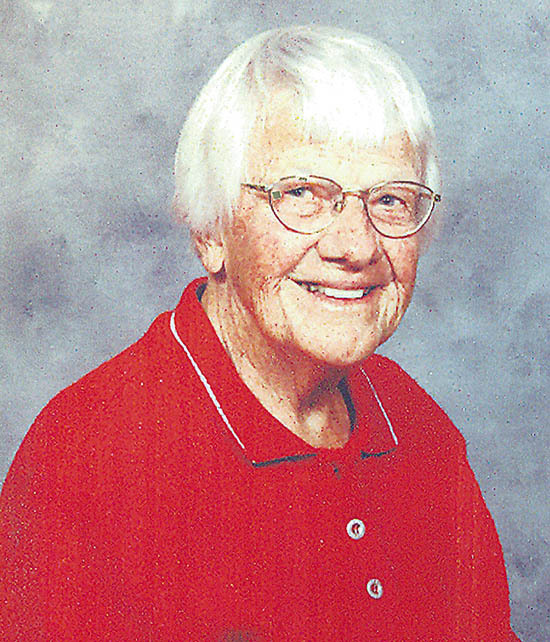 Hoover coached from 1949 until her retirement in 1987. 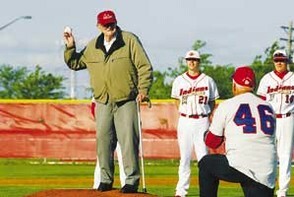 Suren coached in the Prince William County school district from 1950 until 1985, interrupted by a ten-year stint as a coach in Connecticut, and as a major league baseball scout. Yet, decades after they graduated high school, former players were still marvelling at the 10- to 12-hour days Suren logged at school and the equipment he bought for players whose families could not afford their own. They still phone their former coach on Father's Day, pay him regular visits, and hold annual cookouts at his Manassas home. Suren's loyal alumni realized, however, that telephone calls, visits and cookouts are fleeting, so they petitioned the school board to honor him in a more permanent way. So, in April 2010, a ceremony was held to dedicate the varsity baseball field at Gar-Field Senior High School in Woodbridge, Virginia as the John A. Suren Field in his honor, nine years after the Elizabethtown Area High School's field hockey team started playing on Jane Hoover Field. At the dedication ceremonies, Hoover and Suren reacted to the accolades bestowed on them for leadership that left so many warm memories in the same way: with self-effacing modesty. Hoover deflected the credit onto her players. "Without you, I would be nothing," she said, "It was you who did the winning." Suren said that he "didn't coach for today but for tomorrow. I wanted to win, but it was more than that. When I see these boys come visit me even today, I guess I succeeded. I'm the luckiest coach in the county." Times have changed since Hoover and Suren were coaches. These days, pressures from parents, players, administrators, and other constituencies, particularly in high visibility sports like football, basketball and baseball, often lead many good women and men to leave high school coaching before they can build up lasting legacies. Long-time high school coaches like Hoover and Suren with tenures measured in decades are increasingly rare. Whether to leave high school coaching, of course, is an individual decision for a coach and his or her family. Often overlooked, however, in the decisionmaking process are the long-term rewards that come after many years of devoted service. One of those rewards - benefits that Hoover and Suren surely reaped - is in hearing from players thirty, forty, fifty, or even sixty years later the positive impact that the coaches had on their lives. Coach-player relationships frequently ripen into lifelong friendships based on mutual respect; relationships that stand the test of time. I know from personal experience what a thrill it is to have an adult come up to you in a grocery store one day and say, "Hey Coach, remember me? You coached me 25 years ago." When former players approaching their eighties successfully petition the school board to name a field in your honor? That's another story! Perhaps players' loyalty stands the test of time because in our sports-driven society, coaches give children some of their most enduring memories outside of their family. Most former high school athletes remember plenty from the classroom, but they particularly remember their athletic feats and the lessons that they learned from caring, inspiring coaches. Nostalgia is one of the great faculties of the human mind, and one of the great things about sports is that it fuels nostalgia. Think about it: Jane Hoover and John Suren began influencing young lives when Harry S Truman was President. Next to the bonds between parent and child and between siblings, the teacher-student bond is often one of life's most enduring relationships. Coaches, of course, are teachers in every sense of the word, so they share in this bond. Coaching today may create pressures and occasional frustrations, but the players' lasting respect for a job well done continues to pay dividends many years later, long after memories of other heroes from childhood have long since dimmed.